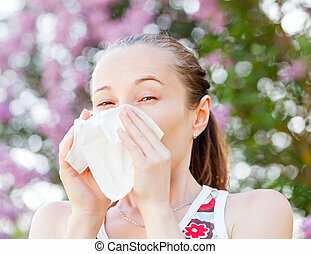 Pollen allergy concept as a group of microscopic organic pollination particles of flowering plants flying in the air with a human nose ready to sneeze as a health care symbol of seasonal allergies and suffering from hay fever. 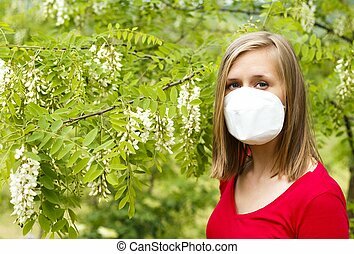 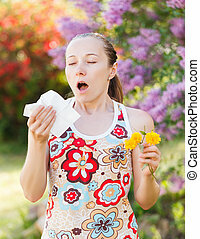 Young woman being allergic to wattle pollen, wearing mask. 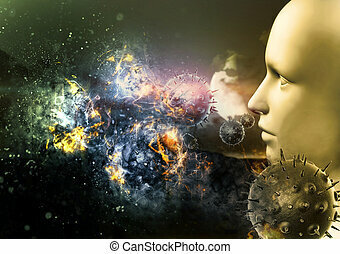 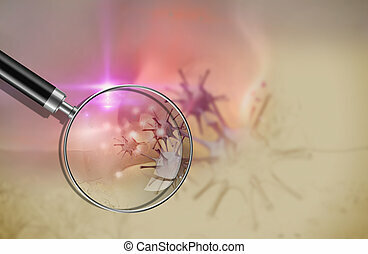 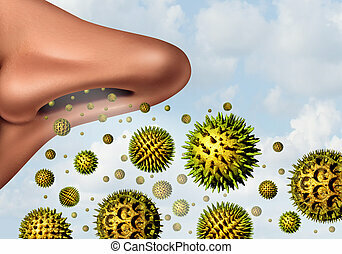 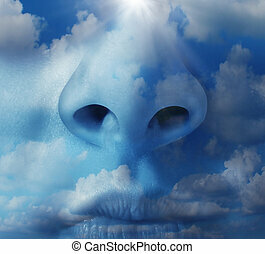 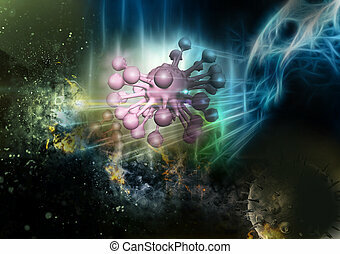 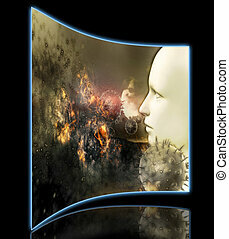 Pollen allergy concept and hay fever allergies as a medical symbol as 3D illustration microscopic organic pollination particles flying in the air with a large human nose breathing in as a health care symbol of seasonal illness. 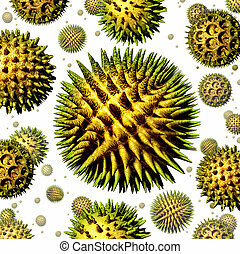 Pollen grains concept as a group of microscopic organic pollination particles of flowering plants flying in the air as a health care symbol of seasonal allergies and suffering from hay fever allergy. 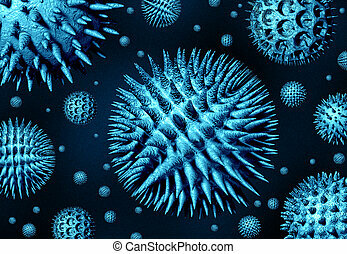 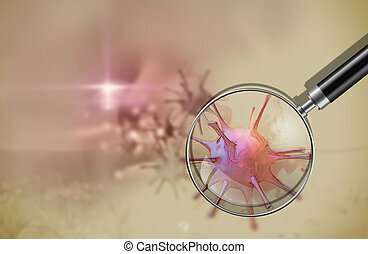 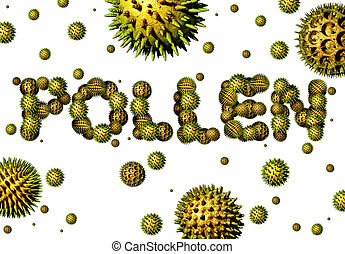 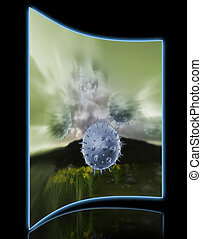 Pollen grains concept as a group of microscopic organic pollination particles shaped as text as flowering plants flying in the air as a health care 3D illustration symbol of seasonal allergies and suffering from hay fever allergy. 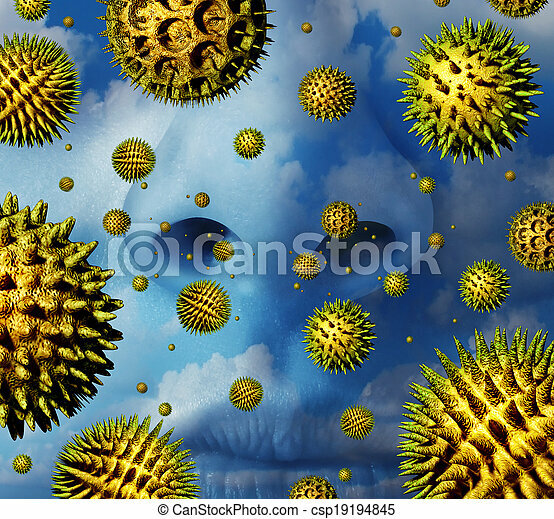 Pollen concept as microscopic grains in a group of organic pollination particles of flowering plants flying in the air as a health care symbol of seasonal allergies and suffering from hay fever allergy on black. 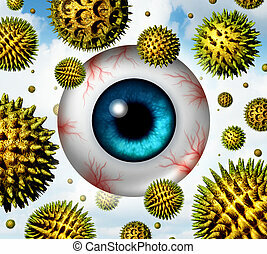 Hay fever and pollen allergy concept as a group of microscopic organic pollination particles flying in the air with an itchy and watery human eye ball with red veins as a health care symbol of seasonal allergies and irritation suffering. 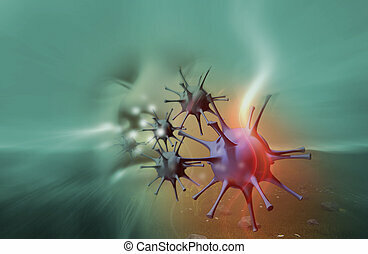 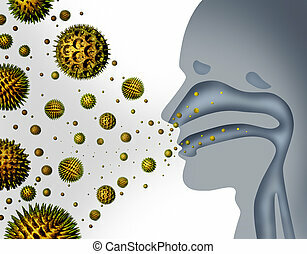 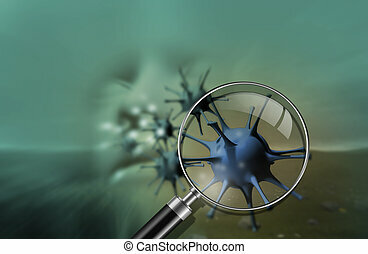 Hay fever and pollen allergies and medical allergy concept as a group of microscopic organic pollination particles flying in the air with a human breathing diagram as a health care symbol of seasonal illness.